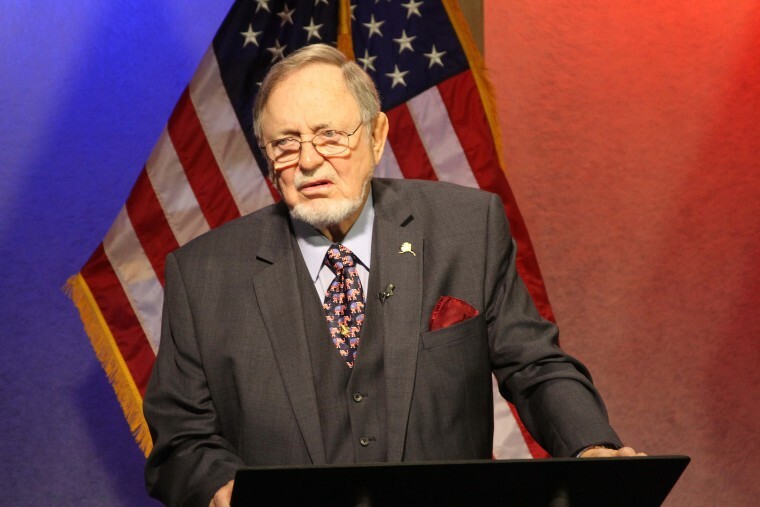 WASHINGTON — Jewish people would have been able to fend off the Nazis if not for gun-control laws imposed by the Third Reich, Rep. Don Young, a Republican from Alaska, argued last week. "How many millions were shot and killed because they were unarmed?" Young asked at an event in Juneau, Alaska, before answering his own question. "Fifty million in Russia because their citizens were unarmed. How many Jews were put into the ovens because they were unarmed?" Young's words, offered in response to a question about guns in the wake of the Parkland, Fla., high school shootings earlier this month, drew criticism from the Anti-Defamation League, a national organization that aims to counter anti-Semitism. "Guns, or lack of them, did not cause the Holocaust," the ADL wrote on Twitter. "The Holocaust was the product of anti-Semitism & other forms of hate. It’s offensive for anyone to manipulate the history of the Holocaust to score political points." Rep. Nita Lowey, D-N.Y., who is Jewish, condemned Young's remarks Wednesday. Young spokesperson Murphy McCollough said the congressman's comments had been "taken entirely out of context." "He was referencing the fact that when Hitler confiscated firearms from Jewish Germans, those communities were less able to defend themselves," McCollough said. "He was not implying that an armed Jewish population would have been able to prevent the horrors of the Holocaust, but his intended message is that disarming citizens can have detrimental consequences." Young, who is the longest-serving member of the House, isn't the first politician to float this Holocaust hypothesis, nor is it the first time the 84-year-old has gotten himself in hot water with commentary that roiled a minority group. Housing and Urban Development Secretary Ben Carson made the same assertion, which has been embraced by conservative gun defenders for years, on the presidential campaign trail in 2015. PolitiFact, fact checking Carson's statement at the time, rated the claim that gun control laws enabled Nazis to carry out the Holocaust "false." The House Natural Resources Committee, of which Young is chairman emeritus, also caused a small stir last year when it invited Stephen Halbrook, author of “Gun Control in the Third Reich," to testify on legislation that would eliminate a $200-per-unit tax on silencers to one equal to 10 percent of the value of the device, and loosen restrictions on transporting hunting and fishing equipment on federal lands. In 2013, Young was forced to apologize after he referred to migrant workers as "wetbacks" in a radio interview. Then-House Speaker John Boehner, R-Ohio, called Young's comment "beneath the dignity of the office he holds." Young, elected in 1972, became the "dean of the House" — the chamber's longest-serving member — in December, after the resignation of John Conyers, D-Mich. He was congratulated on the House floor by Speaker Paul Ryan, R-Wis., and House Minority Leader Nancy Pelosi, D-Calif., in January when lawmakers paused legislative business to honor his accomplishment. The video of Young's comments was released by Dimitri Shein, who identifies himself as Young's Democratic congressional opponent.